Perfect for relaxed weekends, our range of men’s joggers will provide your off-duty apparel with a sophisticated edge. The carefully selected collection of men's jogging bottoms offer the most flawless fit, soft feel and long lasting wearability that are perfect for those times when comfort and ease are needed the most. Shop our selection including true sports-inspired Hugo Boss sweatpants, Paul Smith pants that offer a contemporary urban vibe, or look to Tommy Hilfiger joggers for that cool all-American sports aesthetic. 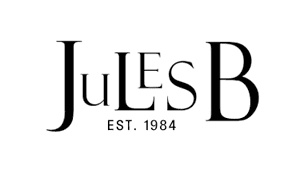 Whether working out or relaxing during downtime, joggers for men are a modern day requisite, or look towards the full men's trousers range at Jules B - featuring a host of smart and casual styles to choose from.